Shares in Canada’s Northern Vertex Mining (TSX-V: NEE) were up Wednesday after the miner said is closer than ever to pour first gold at its Moss mine, in northwestern Arizona. The Vancouver-based company said that roughly 7,800 tonnes of ore have been stacked on the pad to date, and production is ramping up towards an initial stacking rate of 2,500 tpd, to later reach 5,000 tpd. Production is ramping up towards an initial stacking rate of 2,500 tpd, to later reach 5,000 tpd. All of the crushing plant components have been tested and commissioned, piping on the heap leach pad has commenced, and the refinery furnace is to be commissioned next week, the miner said. Northern Vertex’s shares were up 1.85% on Friday morning to 55 cents, with a 52-week trading range of 42 cents to 70 cents. The company has a $96.3-million market capitalization. The miner recently received a $5-million funding tranche and signed a $6-million working capital deal. 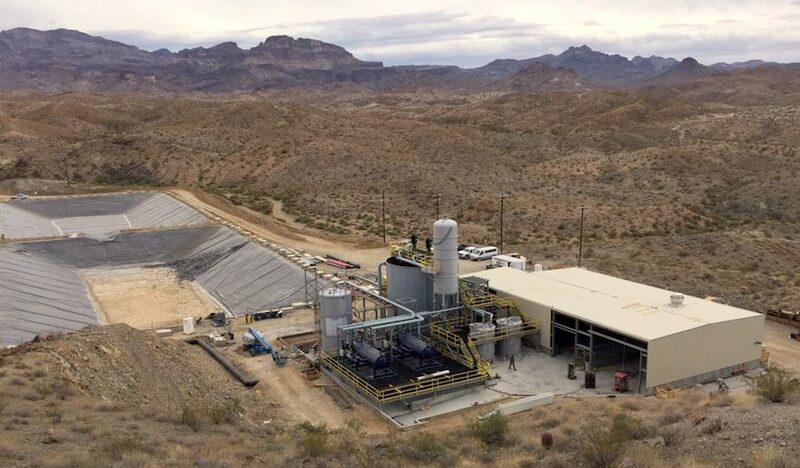 The Moss gold-silver project, which the company believes it has the potential to be “America’s next gold mine,” encompasses 15 patented lode claims covering 1 sq. km and 468 unpatented lode claims for a total 40 square kilometres. Based on the latest Preliminary Economic Assessment, the mine has an expected life of 10 years, but management intends to conduct an aggressive exploration and resource expansion program during the first two years of production in order to further expand existing resources. Capital expenses are pegged at $61.6 million, including $37.5 million in sunk costs for building the phase-two pit design. Operating costs are estimated at $190 million.